Looking for a used RV dealership in Spokane or Spokane Valley, WA? 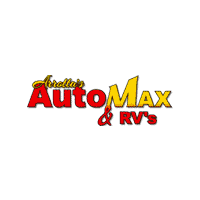 You’ll want to rely on Arrotta's Automax & RV. Here, we have 13 cheap – but no less sophisticated – used RVs for sale. We offer some of the best prices and some of the largest selections of used RVs around town – from deals on Forest Rivers to great low prices on your classic Winnebagos. So, what are you waiting for? Calculate your estimated payments with us, and then apply for financing to know your monthly auto loan payments on your next used RV. Ready to get your next used RV from our Spokane car lot? Compare top fifth wheels to travel trailers here, or explore all of the available types in depth. Once you know exactly what you’re looking for, explore our inventory below to find the right model for trips to WA’s best RV parks! The Fleetwood Bounder has a track record of being very tough and durable. This Class A motorhome is a great vehicle for families. The performance tuned suspension of this RV handles great on all turns. Has plenty of room for the whole family! That makes this Class A motorhome perfect for the long summer road trips. This RV is fully loaded with all equipment options. This model has dependability you can trust. The vehicle comes standard with numerous top of the line safety features. This 1997 Chevrolet P30 P Series has the durability you can depend on as the miles tick away. This model is an all-around vehicle, well equipped for anything. Whether it is work or play this is a very functional vehicle that will meet all your requirements. It has a V8, 7.4L high output engine. Enjoy the incredible handling with the rear wheel drive on this 1-ton van. Enjoy the tried and true gasoline engine in the P30. The supply is limited! If you are serious about this Fleetwood Bounder, we recommend you move fast. If you are looking for a tough long lasting vehicle, this this GEORGIE BOY LANDAU is a great option for you. This vehicle will have plenty of room to safely transport your kids to the next ballgame or family outing. This vehicle will stick to the ground on the sharpest of turns. With exceptional handling you will enjoy every curve of your favorite roads. It has a high output engine. It shines with clean polished lines coated with an elegant white finish. This GEORGIE BOY LANDAU has dependability you can trust. When it comes to any auto purchase, there is nothing more important than safety. the vehicle will protect you and your passengers with innovative safety features. The supply is limited! If you are serious about this vehicle, we recommend you move fast. This RV has a track record of being very tough and durable. The vehicle will stick to the ground on the sharpest of turns. With exceptional handling, you will enjoy every curve of your favorite roads. This model is fully loaded with all equipment options. It is a great trailer for families. This SALEM CRUISE TRAVEL TRAILER has dependability you can trust. It is a rare vehicle and is hard to find. The supply is limited! If you are serious about this Travel Trailer, we recommend you move fast. Take to the road easily in this Thor Motor Coach 21C class C motorhome by Thor Motor Coach. You will have all that you need and more to be comfortable while traveling to all of your favorite places. As you enter you will see a lounge chair to your immediate right. There is also an overhead cabinet for storage. To the left of the entry door find a three burner range-top with microwave oven above alongside a large single sink with overhead cabinets as well. Opposite the sink is a refrigerator tucked neatly beside the large u-shaped dinette featuring seating for everyone during mealtime or just hanging out. It can also be used as additional sleeping space if needed when you fold the table top down. You will also enjoy the overhead storage. Above the cab area find a convenient 55" x 87" bunk that the kids will enjoy sleeping on. There is also a 32" TV with swivel capability for multiple angle viewing. Beyond the kitchen appliances there is a step up to the rear bed and bath area. The bath features a tub/shower toilet and vanity with overhead cabinet. Just outside the bath door there is a handy closet also. The rear corner 54" x 80" double bed provides a comfy place to sleep and features upper cabinetry on two sides plus so much more! Call 509-703-7797 or come in today and request a test drive. AutoCheck available for every vehicle here at Arrotta's Automax & RV just ask your salesman. If you are looking for a tough long lasting RV, this 2007 Gulf Stream Touring Class B Euro Touring Cruiser 5272 2 Slides is a great option for you. The Express will have plenty of room to safely transport your kids to the next ballgame or family outing. This Chevrolet Express sips fuel. This vehicle will stick to the ground on the sharpest of turns. With exceptional handling, you will enjoy every curve of your favorite roads. Has plenty of room for the whole family! That makes this 2007 Gulf Stream Touring Class B Euro Touring Cruiser 5272 2 Slides perfect for the long summer road trips. This Class B Motorhome comes loaded with all the features that will meet your needs and then some. Be sure to review the options listed on this page. With having reputation for being one of the most dependable vehicles on the road, this unit won't let you down. When it comes to any auto purchase, there is nothing more important than safety. it will protect you and your passengers with innovative safety features. It is as tough as they come. This Class B RV is a versatile vehicle. This Chevrolet Express has a V8, 6.0L high output engine. The Express has an automatic transmission. Enjoy the incredible handling with the rear wheel drive on the vehicle. The RV is equipped with a gasoline engine. The 2007 Gulf Stream Touring Class B Euro Touring Cruiser 5272 2 Slides is a rare vehicle and is hard to find. Why Choose Arrotta's Automax & RV? Coeur D’Alene, ID and Post Falls, ID shoppers don’t just want a quality RV at exceptional prices: they want an exceptional customer experience. Fortunately, at Arrotta's Automax & RV, we strive to offer such an experience. Sure, we’ll offer agreeable terms on financing packages, and sure, our friendly staff will help walk you through all steps of the used RV buying journey. But we’re more than just a dealership: we’re your used RV resource. Ready to experience the Arrotta's Automax & RV difference? Simply complete this easy-to-use contact us form. In the message box, explain your interest in buying a used RV in Spokane. We’ll be in touch with you shortly.